Looks good! Did you bake the Orient? Here's a great recipe for this time of year - get the biggest bunch of fresh local asparagus you can get your hands on, simmer for few minues (or steam a little longer), slap them on a plate with knob of butter and a few shavings of parmesan and then eat - but hold your nose when you pee for up to 24 hours. As a variation to Rinaldo's recipe above, boil your asparagus for only 5 mins then barbecue for about another 5, and if you're trying to impress (and god knows I was :D ) along with the parmesan shavings you can add some fried quail's eggs, they look absolutely superb and are great for dipping the spears into the yolks. If you try frying the quail eggs you need to know that you can't crack the eggs like normal you have to use a serrated knife to cut open a slot you can get your fingernails into. I notice a mention of this thread in another one. Here's what I made yesterday for dinner. 3 onions (or shallots, or whatever). Basil, oregano, rosemary, salt and pepper. Dice the venison (medium chunks), onions and garlic (small chunks). Very lightly brown the vension in some olive oil. Then the onions and garlic. Put the venison, mushrooms, onions, garlic, herbs, stock, and wine in a stew pot that can go in the oven. Put it in the oven at gas mark 1-2 (depending on stove) for 4-5 hours. Serve with couscous. Have yoghurt and pickle to hand. A green salad wouldn't go amiss. 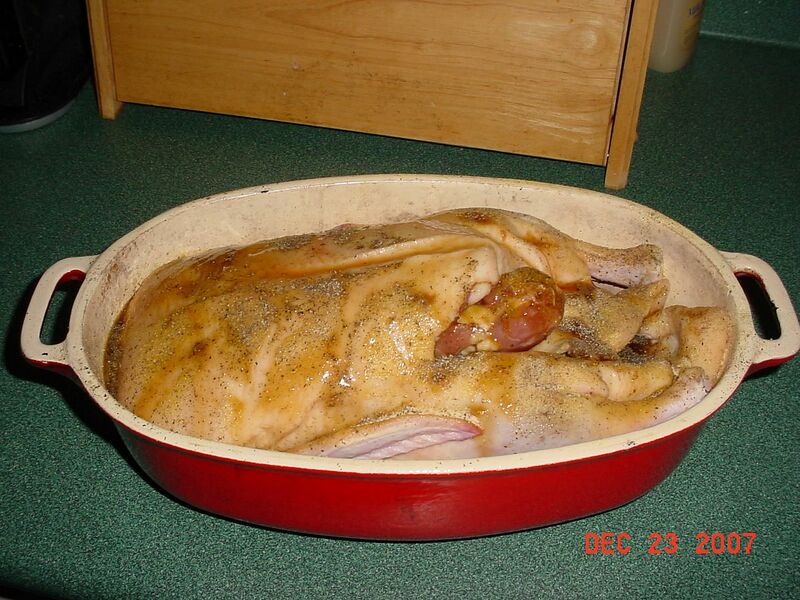 Thaw duck if frozen, place duck in Roasting Pan two days prior to baking. 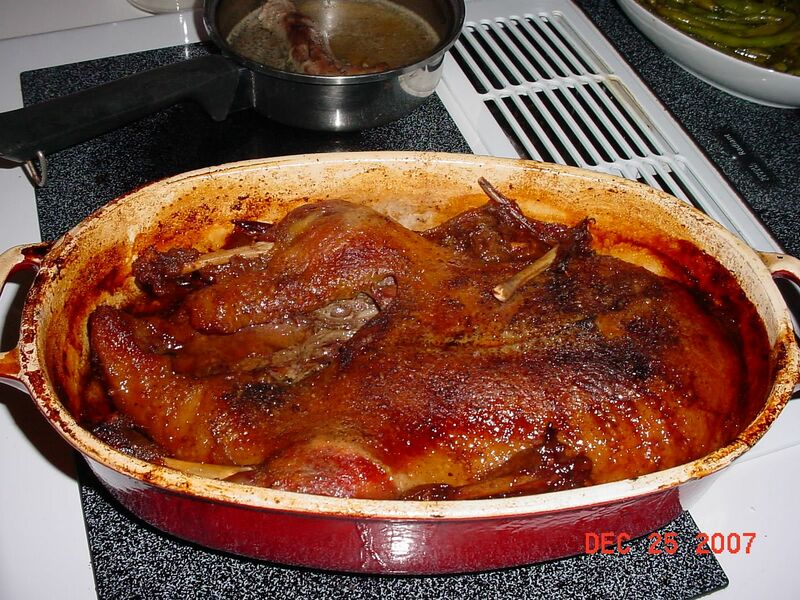 Add Maple Syrup with duck in pan; make sure that you have at least ¼” of Maple Syrup covering the bottom of pan after you pour maple syrup on duck. Add salt, pepper and garlic power to taste. *more garlic power is better. Add a tiny bit, a pinch or two of Oregano. Let Duck Marinate for two days in fridge. Preheat over to 200*F, then place duck (covered) in over, bake (slow Roast) for 3-4 hours depending in size of duck. 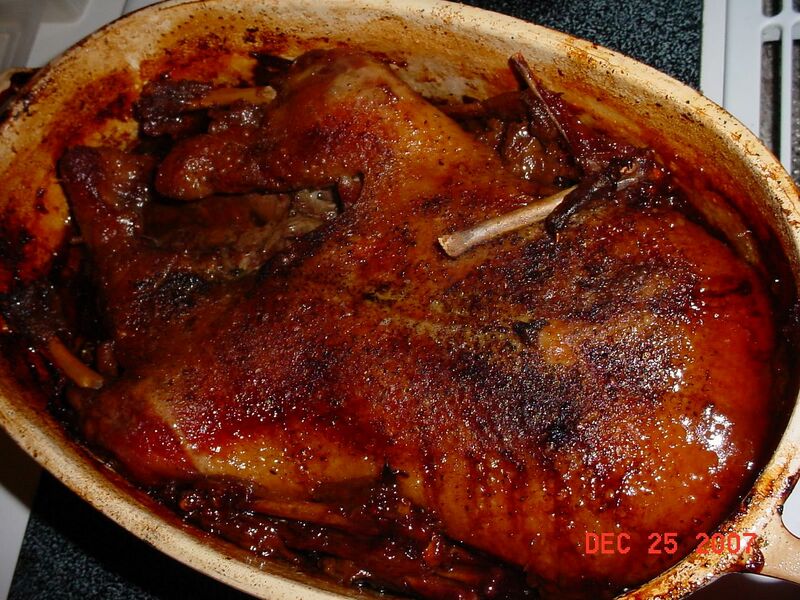 The reason you want 200*F is that is the optimal internal temperature for the duck to eat, and be well cooked. Slow roasting achieves this without drying the duck. Baste the duck at least once. 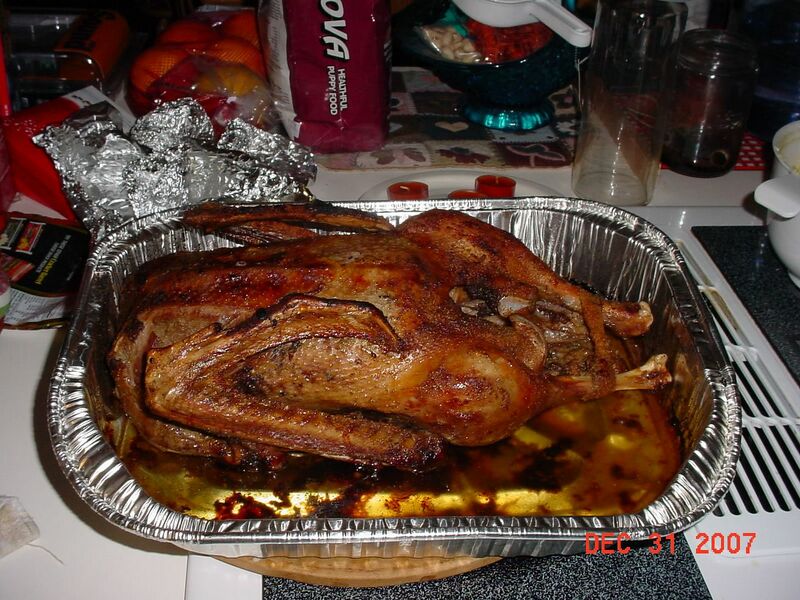 Heat oven to 425*F with duck inside oven. 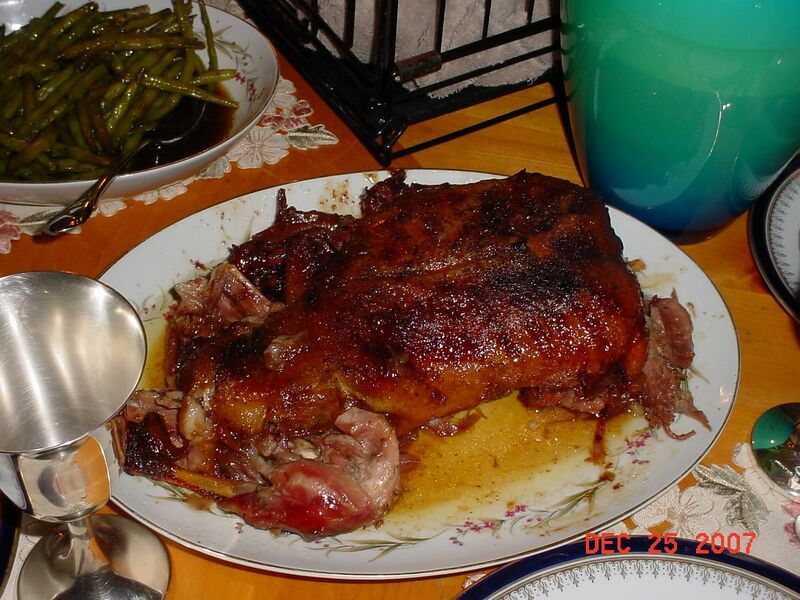 Baste duck, and bake for approximately 1 hour, or until desired golden brown baked color of duck is desired. 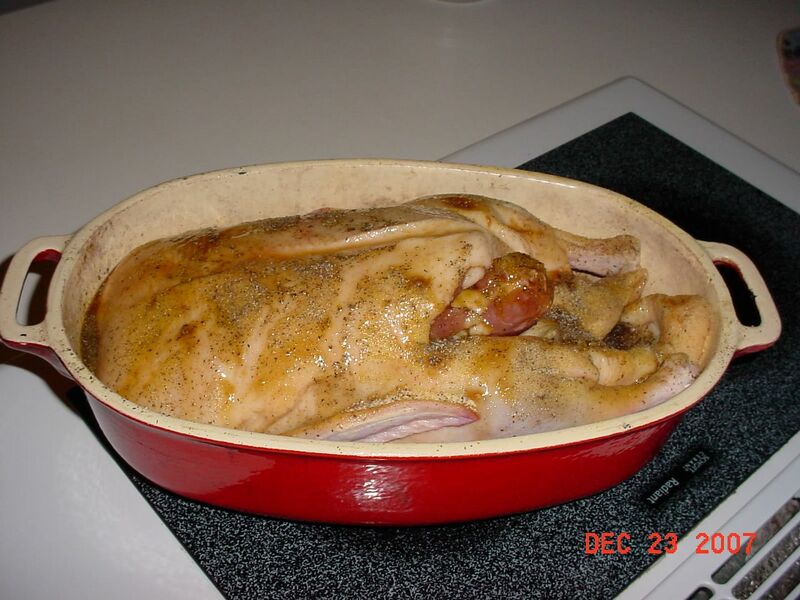 Remove duck from oven and baking pan, place on serving tray and cool for 10 minutes. Did Andrew really start this thread on April 1st...? Inspired by the recipe thread here's a few Q & D's of our Sunday supper. Take a couple of thick rashers of organic Belly Pork and cube. Add a handful of Shallots, a quartered red onion, red pepper, a few closed cup mushrooms, and baby new potatoes. Season well with garlic, paprika, black pepper, chilli flakes and sea salt. Sweet potato (kumara-if NZ born) and spinach curry-dead simple and yummy! dice 3 or 4 medium/large sweet potatoes into 1" cubes. boil for 10-15min or until just soft all the way through and then drain. in a pan add 2 tsp oil and heat. add 1 large diced onion and cook until soft (don't let them colour). add 1 to 2 tablespoons (however hot you like it) of Madras curry paste and cook for 2-3minutes. add in 1 can of coconut milk (half fat version if you like a lighter sauce). simmer for a few minutes, add sweet potatoes and cook for a further 5-8 minutes. add larger bag of spinach to curry (let it sit on top) and cover with a lid. once it has wilted stir into the curry. serve with hot naan bread of choice. Put the teaspoon of olive oil on the bottom of the saucepan, and add the venison. Venison has little to no fat, therefore the olive oil keeps it from burning, if using regular beef, you can omit the olive oil, and then drain fat after browning (if fat is an issue, but do so, before adding other ingredients). Brown venison until almost all the pink/red is brown, on medium heat, add salt and pepper to taste. 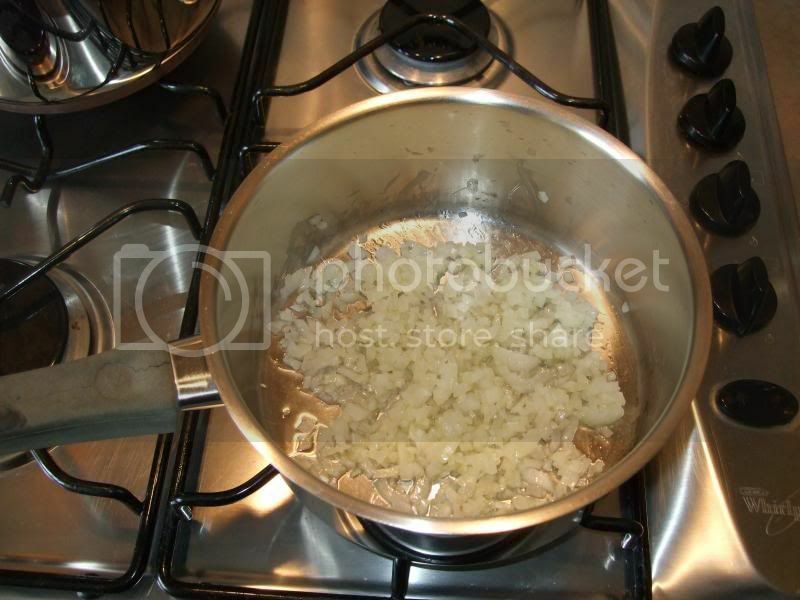 Then add finely chopped onions and sauté onions until tender. 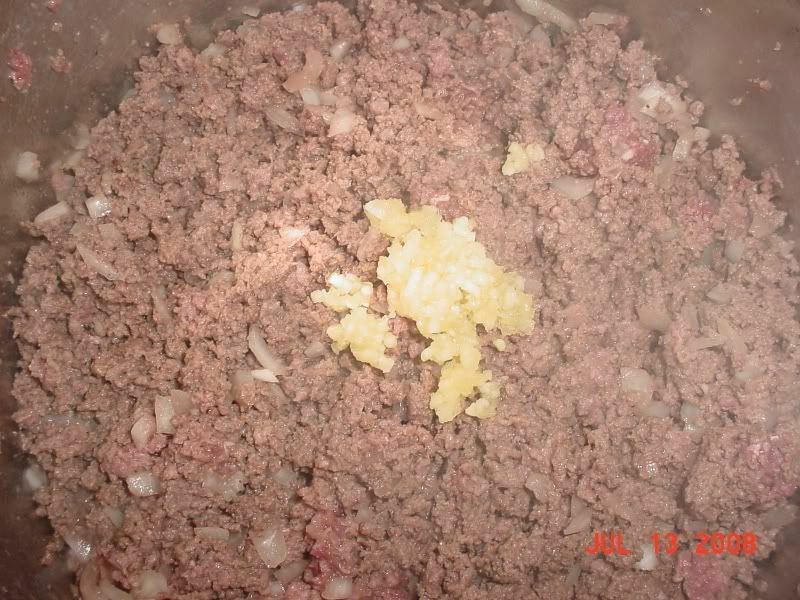 Then add minced garlic and cook until venison is completely brown. Turn range/stovetop to low, add the Bay Leaves, then add Red Kidney Beans (undrained), and Diced Tomatoes (undrained). Stir, and simmer on low heat for 10 minutes (cover when not stirring). 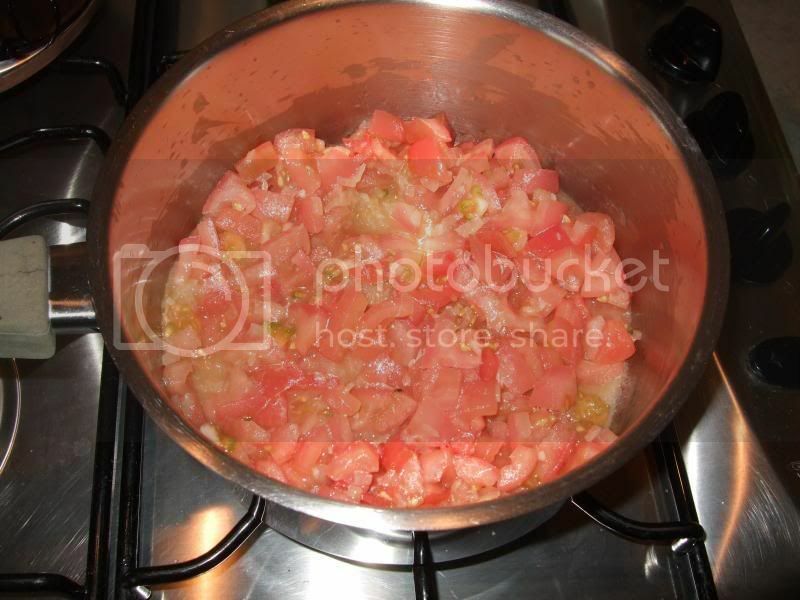 Then add Tomato Paste, and stir until completely mixed in saucepan. Simmer (covered) for at least a ½ an hour (the longer the better), I let it sit on the lowest possible setting for several hours, stirring occasionally, you want to make sure that it doesn't dry out, and that it only thickens (if simmering for a long time make sure it is covered). 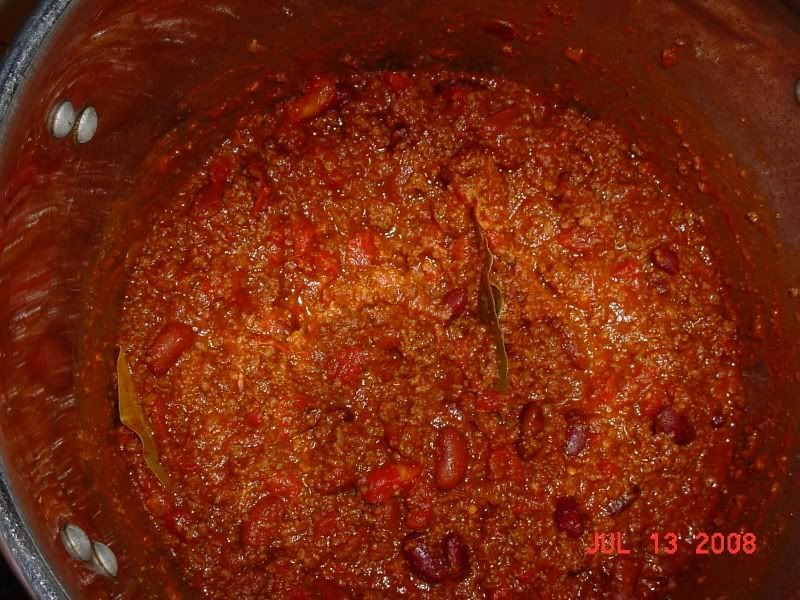 You want to cook it for at least an hour…prior to the last ½ hour, (I do it about an hour or more, prior to eating) to let the seasonings mix, I add the Chili Powder and stir it well. Add to your taste. *Note the Chilli Powder won't make it "Hot", it just adds spice…so the more you add, the more of a "Chili Flavour", it will have. To make it "Hotter", I add Cayenne Pepper to it; this is to taste as well. With Cayenne Pepper, the more you add, the "Hotter", it will become. 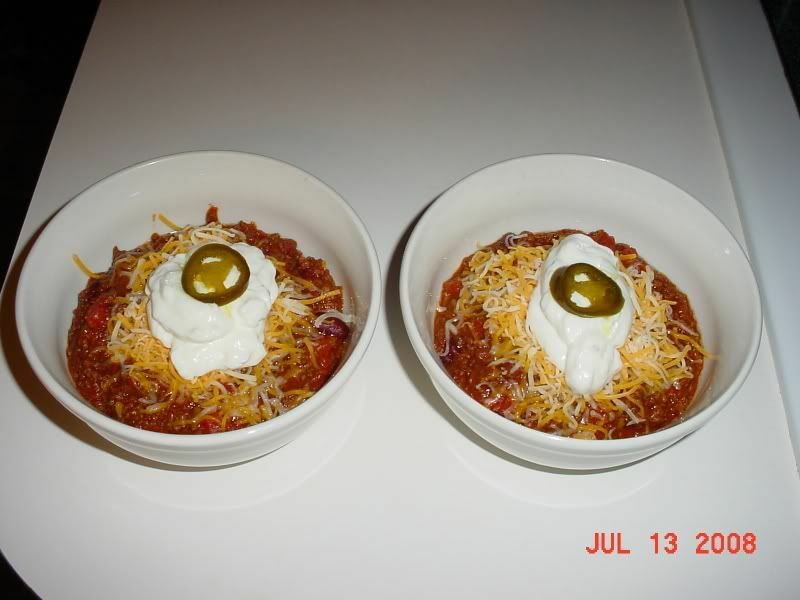 Serve Chili in a Bowl, and then top with Shredded Monterrey Jack, and Sharp Cheddar, then top Cheese with Sour Cream. This is subjective to personal taste; I serve mine with either Cornbread, or Flour Tortilla's depending on the season. If you are going to serve with Tortilla's, warm Tortilla's in a frying pan on medium heat, with a little bit of butter on the frying pan to keep them from sticking. That looks appetising John. 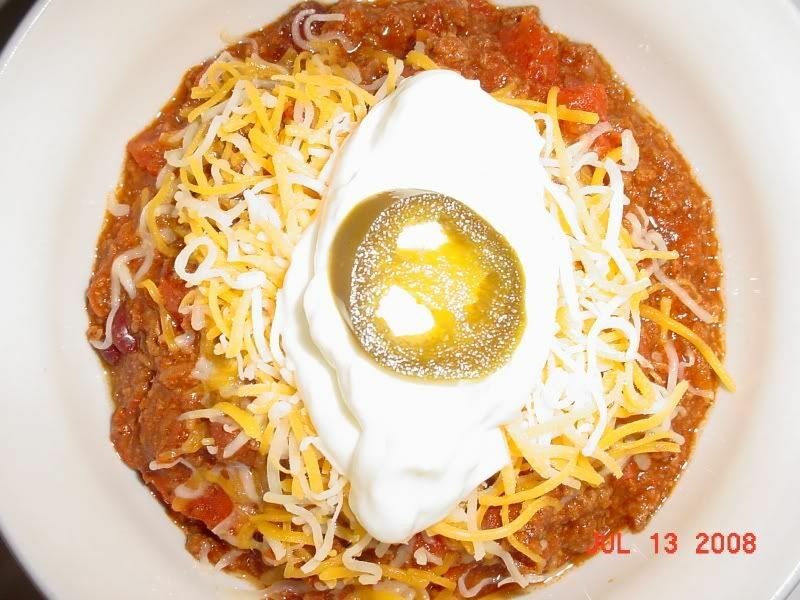 I love chili but have mine with mixed salad and tortilla wraps. If you ever come to FLA, and visit, I will make it for you, then put it in a tortilla, and add salad to it as well! 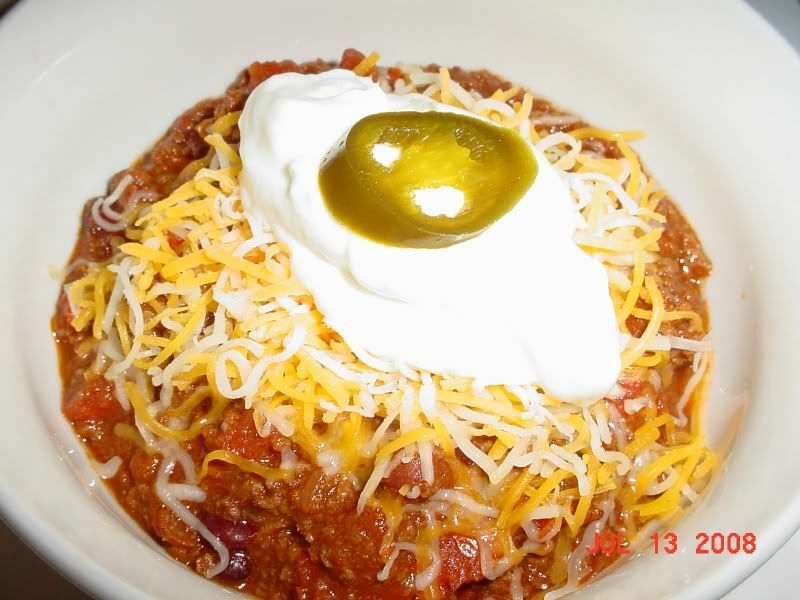 Neat recipe John, I love chili - one of my all time favourites, though I make it a little differently. When I was out in Houston many many years ago a chef there told me to make it with ground or diced beef, (I prefer diced though it takes longer), and diced smoked pork, (or smoked bacon if you can't get smoked pork), in equal quantities. Also, fresh chillies, (I grow my own, several different varieties for slightly different flavours/strength). Other than that it's pretty much the same, and it's wonderfull. Will have to try it with venison next time, but I think I'll still add diced pork for the extra texture it gives. My pleasure. I love chili as well. 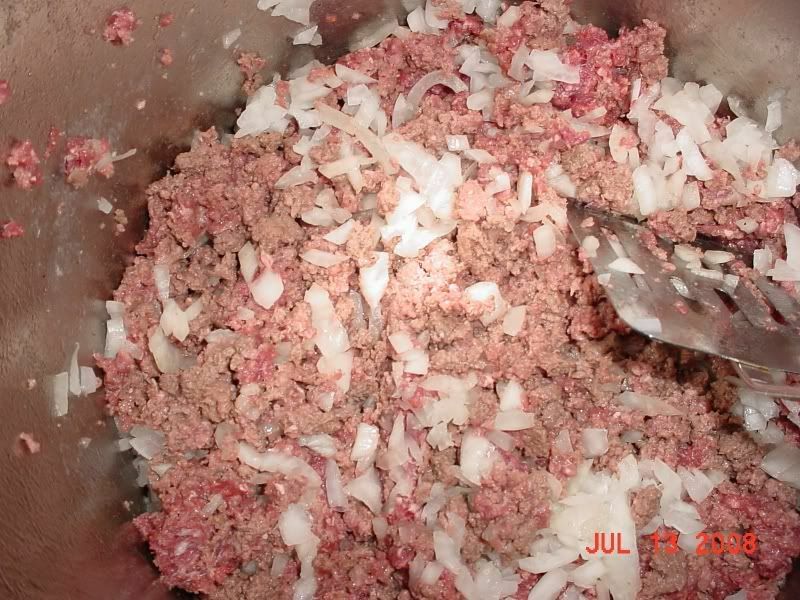 Thanks for the tip on the diced beef, and pork, I am going to have to try making it that way, the next time I make chili. I am sure that will taste excellent. I am going to ask my butcher the next time he preps my venison to dice me a few pounds. I love fresh Chli’s, like you, I grow my own, living on Perma-Hot FLA, with Perma-Rain chili’s grow nicely here. Living in the South Smoked Pork is something I can get all the time, nearly everywhere, and very inexpensive. If you ever need some let me know, it doesn’t need refrigeration and can be shipped virtually anywhere. Very simple, perfect for a warm summer's evening (if we ever get one), and my wife loves it. When the onion is almost done, add a crushed clove of garlic, and fry for a couple of minutes. The garlic cooks a lot faster than the onion, so you don't start them off together. 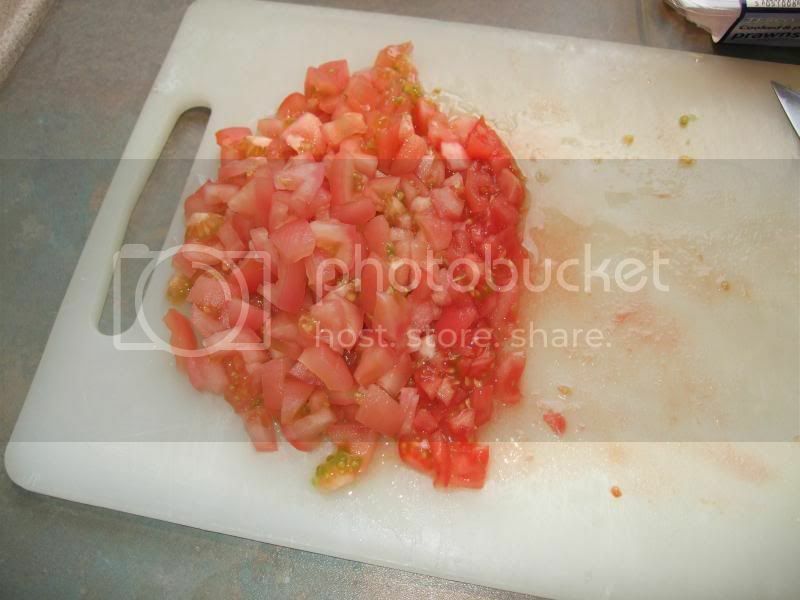 Once the garlic has had a couple of minutes, add the chopped tomatoes and some salt. Put your pasta into the pan of boiling water you have ready at this point. I like linguini with this sauce. 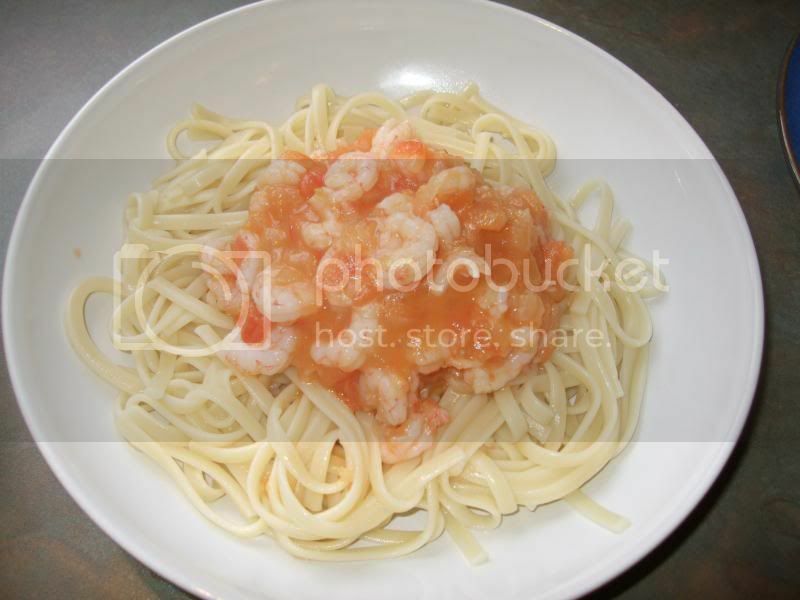 When the pasta is nearly ready, add the prawns to the tomato sauce. They are already cooked, so only need to be heated through. Add a little sugar to sweeten the sauce, if required. Gratuitous watch picture. 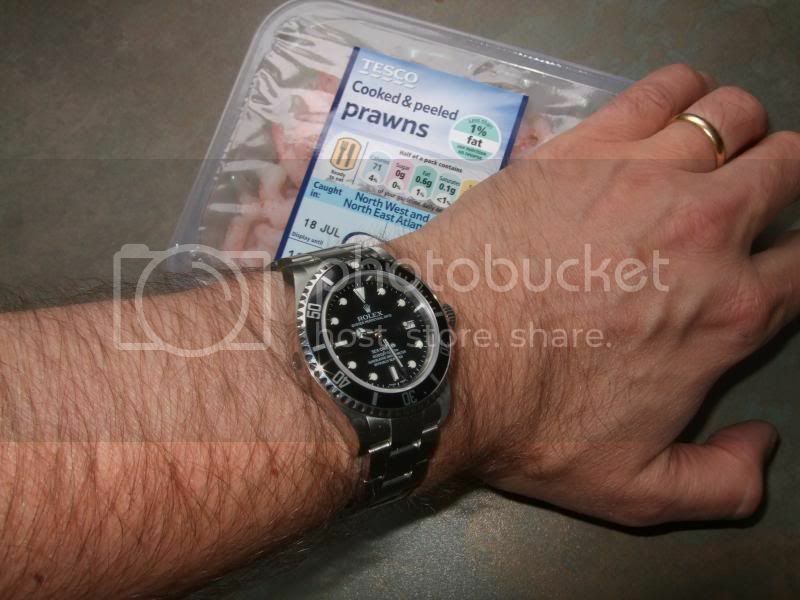 Er, Seafood-Dweller? My mum used to make me eat her homemade cottage pie - with crushed salt and vinegar crisps on top, instead off mashed potato, I don't recommend it to anyone! Anyone know how to do a nice german pork knuckle? 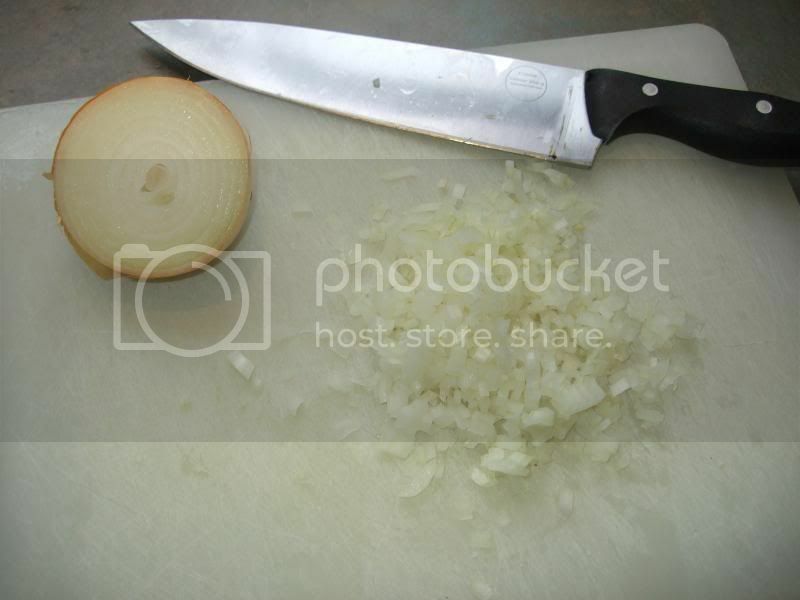 3 medium onions, peeled & roughly chopped. 8 cloves of garlic, peeled. 1 thumb sized chunk of ginger, skin removed & roughly chopped. 10 dried red chillies, bird's eye type. 4 tablespoons of corn oil. 4 tablespoons of light sesame oil. 1 2inch strip of lemon rind very finely chopped. 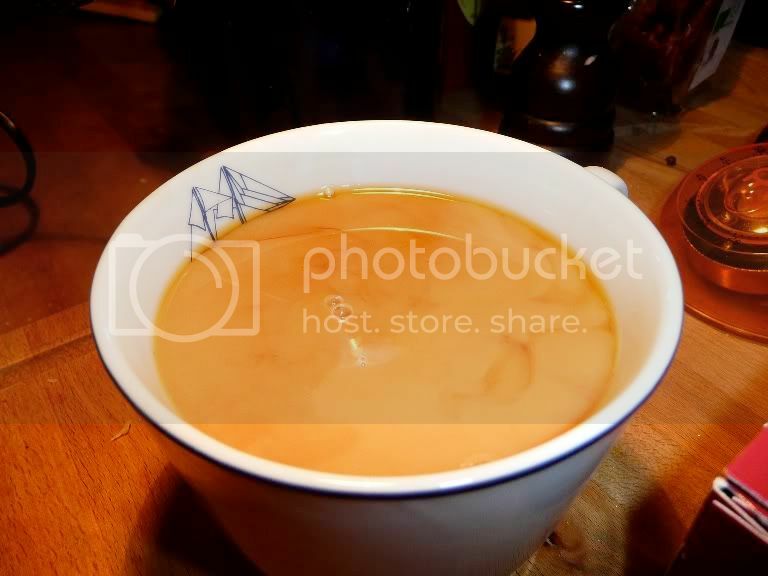 1 rounded teaspoonful of turmeric powder. 2 rounded teaspoonfuls of chilli powder. 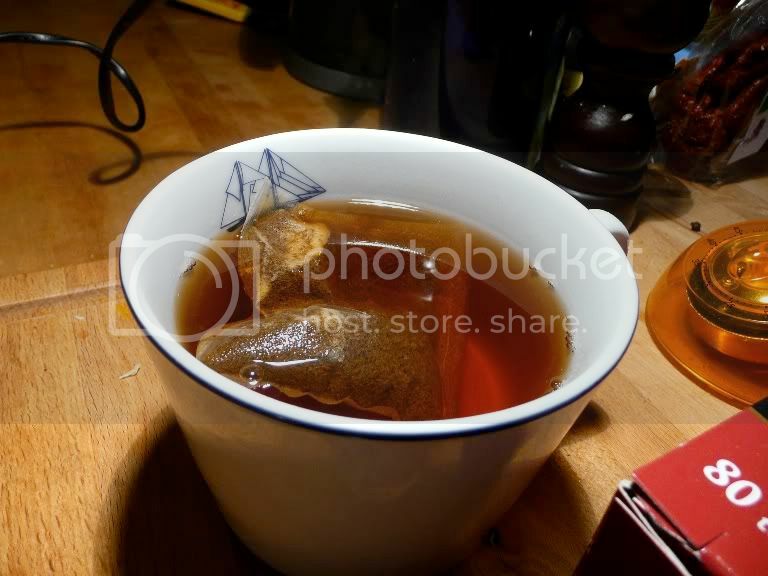 1 rounded teaspoonful of paprika. 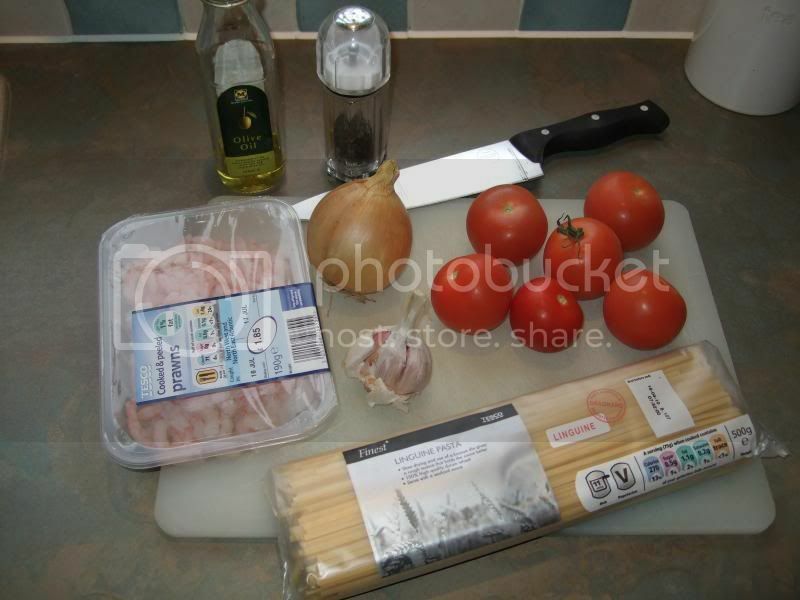 500g chicken breast, diced nice and chunky, or pork or beef. 2 tablespoons of fresh coriander coarsely chopped. 1/2 tablespoon of fresh mint coarsly chopped. 3 fresh red or green chillies finely sliced. Puree the first 5 ingredients with 5 tablespoons of water. Put the oil in a pan and heat up, add the pureed ingredients and cook on a very low heat, covered for 40mins stirring every 10mins, add a little water if it starts to stick. Add the lemon rind and the spices and cook on a very low heat for another 20mins, if it appears too dry add another couple of tablespoons of water. Add the meat of your choice and about 200ml-300ml water and about 1/2 teaspoon salt, bring up to a soft boil, cover and turn down to a very low heat. If it's chicken, simmer for 20mins, pork for 40mins, beef for 50min or until tender. Again if it looks a little dry add a little water. Stir in the last four ingredients, cover and leave off the heat for 5mins. Serve with a quality basmati rice or chapati or roti. 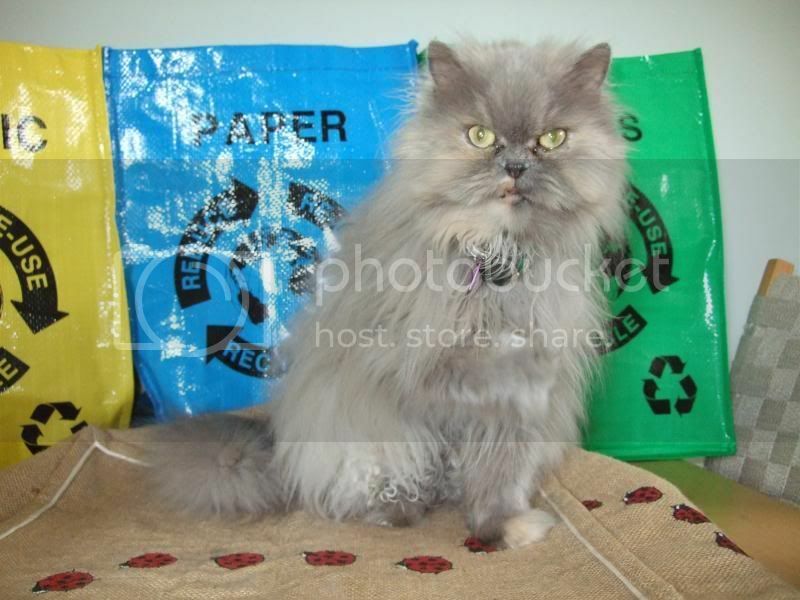 Oh.... and Stella. This isn't a recipe but a comment about food fads. The recent one I've notice at restaurants is the increased use of Pancetta and figs, and the abundance of smoked duck. Quack, quack. Seeing this thread up at the top reminds me to comment on what a good idea diced pork in a Chilli is from some of the recipes above. Did one yesterday and it really changes the flavour more than I would have believed. I first had this superb food in a pub/restaurant called the Schiffchen in Dusseldorf. I was so impressed that I had to get the recipe. You will need 1 pork knuckle per person, plenty of salt, (I grind up Sea Salt), half a dozen cloves, a jar of caraway seeds, some new potatoes, an onion, a goodly portion of vegetable stock and a jar of Sauerkraut, (you can make your own, but it’s not worth the bother). 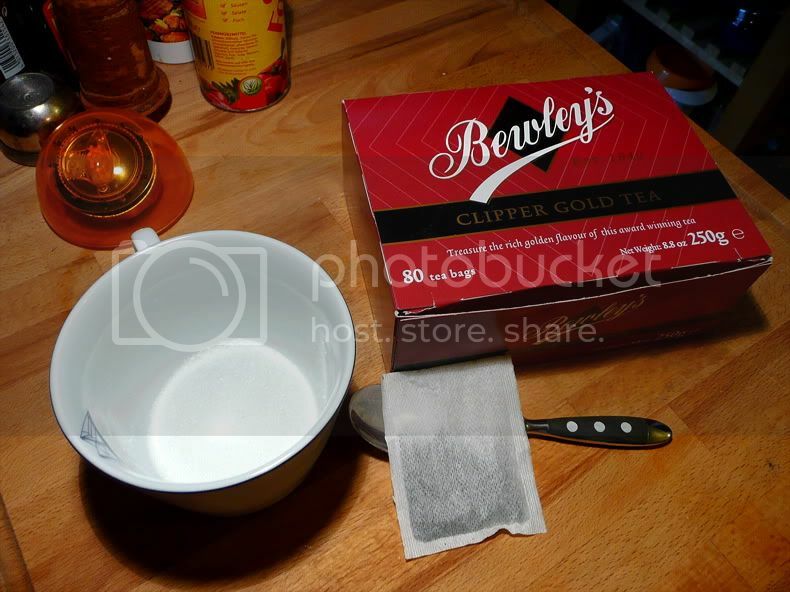 Take a large saucepan of water and bring to the boil. Make sure the hocks will be covered by the water. When boiling, add the cloves and a teaspoon of caraway seed to the water. Now put the hocks into the pan and bring back to the boil. Let them boil in the water for about 30 minutes. This step is absolutely vital. After 30 minutes, take the hocks out and pat dry with kitchen towel or a cloth then, while the hocks are still hot, with a sharp knife remove about an inch or so of the skin from the top, (thin end), of the hocks to expose the bone and then score the remainder of the skin round, not down, the hock. But whatever you do, don’t cut into the meat, only the skin down to the fat and no further. Rub the hocks with plenty of salt and another teaspoon of caraway seeds, working it well into the cuts. Slice the onion and put it, along with the new potatoes, into a roasting tin and pour over a quantity, (a large mug full is about right for two people, just make sure that the tops of the potatoes are exposed), of vegetable stock. 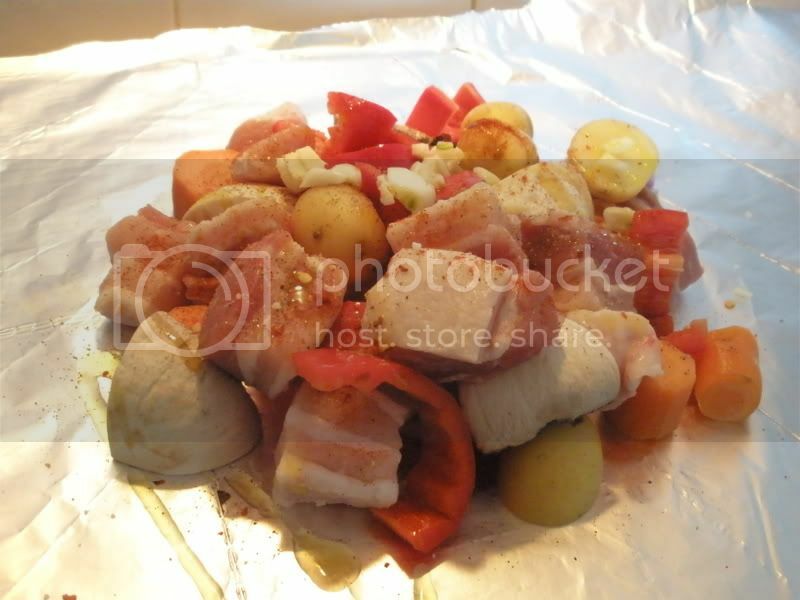 Place a wire rack on top of the roasting tin and put the hocks on top of that, bone upwards. Put the whole into a preheated oven at 220° C (425° Fahrenheit). Check regularly that the potato/onion casserole isn’t drying out but try to do this without opening the oven door for too long, top up as necessary. In any event, after about one hour pour a further mug of vegetable stock into the potato/onion casserole, (but not over the hocks). Now reduce the heat to 175° C (350° Fahrenheit) and let the hock bake for a further 40 minutes. After 40 minutes, turn the heat back up to 220° C (425° Fahrenheit) and remove the hocks and the potato/onion casserole. Now quickly pour a glass of really cold beer straight over the hocks and let it run over them and into the casserole. This helps to get a really crispy skin and adds a superb flavour to the casserole. Return the whole to the oven and cook for a further 30 minutes, but check regularly, as you want the skin golden and crispy but not burned. Remove from the oven and set the hocks to one side to rest, about 15 minutes is right. Serve each hock on a bed of Sauerkraut, (cold), with the potato/onion casserole on the side. It’s a very simple, tasty dish and doesn’t need any fancy vegetables; potatoes and sauerkraut is more than enough. But if you’re really hungry, then mop up the gravy with some crusty bread. That Chilli. My god! I would have to take the next day off work. continuously, and it is faster without compromising on quality. For two/three persons, “risotto alle zucchine e pancetta”. Use rice varieties like “Vialone Nano” or “Carnaroli” when you want the grains to stay fairly separated. require 8.5 mins in the pressure cooker. the pressure cooker. Use it for fish, mushrooms, vegetable risotto. turmeric in the stock. Keep warm. you will shallow this in the pressure cooker with a spoonful of extra-virgin olive oil. the vegetables in the pressure cooker. The other half will be used as garnish at the end. burning. Add it to the pressure cooker. Add in the pressure cooker 500mls of warm stock and saffron. Put on low heat stir once and close the pressure cooker. to escape. After 7.5 mins stop the cooker, and let the steam out. Taste it, should need no salt as the bacon and the stock contain salt already, but if needed add. “Mantecatura”: add a knob of butter, or some grated parmesan of the highest quality (some 20 grams). Stir gently in the serving plate while the rice is warm, and leave to rest for 3 mins. When you serve, add the rest of the bacon on top , and a sparkle of finely chopped parsley and basil. but a smoky Sancerre also works very well. And this is my aunt's "Melanzane Parmigiana"
"Aubergines baked in Parma style". Unbelievably good, mine are quite good now. Some chilli powder or tabasco. 1. Cut the aubergines approximately 5 mm thick. Tranversally or longitudinally, no difference. aubergines in the beaten eggs. 4. Rest the slices on some paper to drain oil thoroughly. 5. Prepare the mozzarella in thin slices. Grate the parmesan. basil leaves, a little pressed garlic, a pinch of salt and a hint of chilli or tabasco. 7. Then you start assembling in the tray. 8. Some sauce on the bottom. 9. One layer of aubergines. 10. One layer of mozzarella. 11. One layer of sauce. 12. 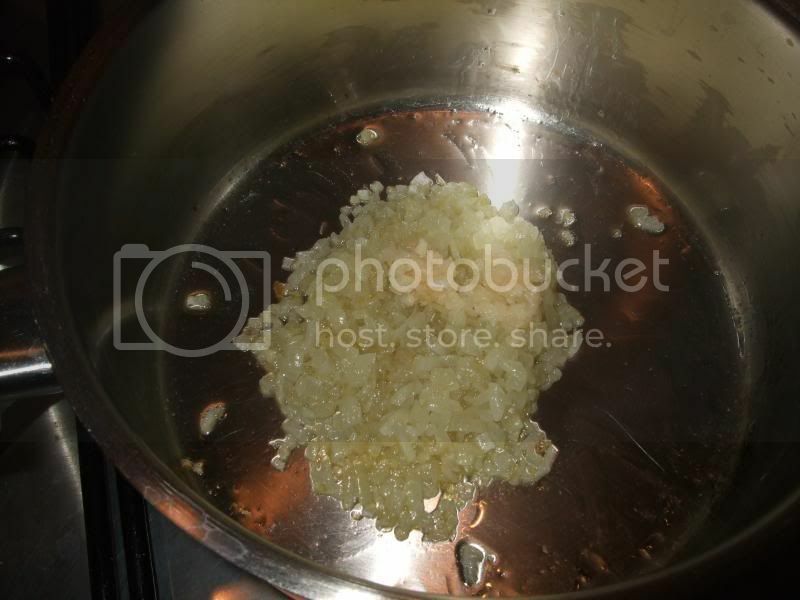 One layer of grated parmesan cheese. 13. Repeat steps 9-12 twice more. 14. Add some sauce at the top. Now you can either freeze or bake. 15. Bake in the oven 200 degrees for 30 mins. 16. You can eat it. Whatever is left, it will twice as nice after 24hrs! I have really enjoyed this thread! This isn't my receipe - its one I found on the internet, but I've used it loads of times. 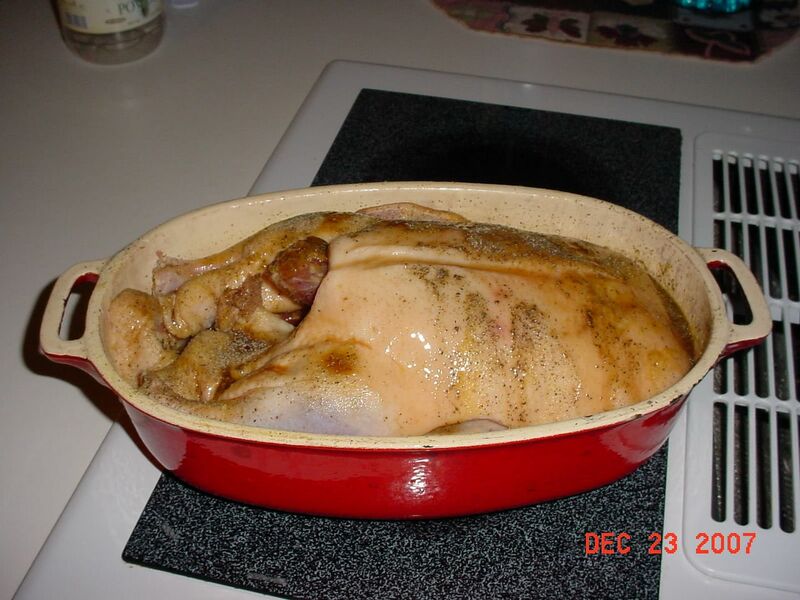 Arrange the chicken, skin side up, in a baking pan. Season with salt and pepper. Brown in 350 oven for about 30 minutes. 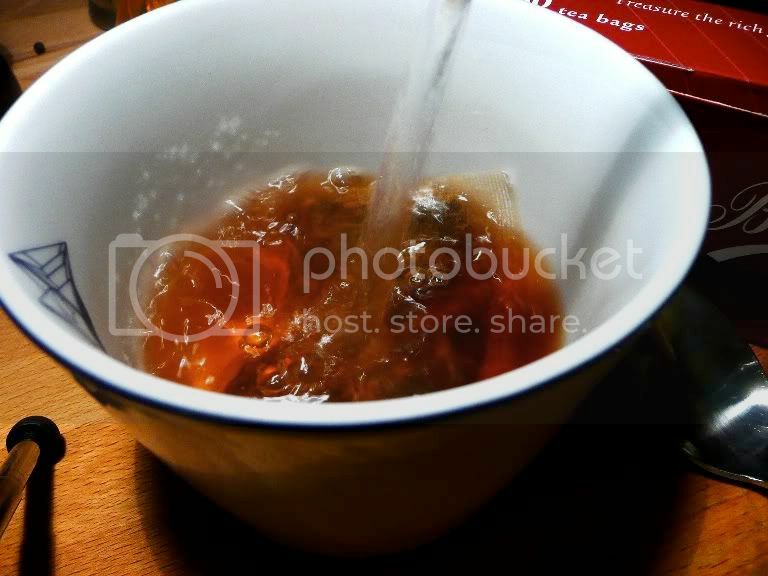 Pour off the fat that has accumulated in the pan before going any further. Add the rest of the ingredients; cover pan and continue baking 30 minutes until chicken is tender. I'm going to give that risotto a go Franco, thanks for posting. Eddie - it's guaranteed to work. The only danger is to underestimate the salt from the bacon and parmesan, usually does not require any added salt ! I have made rissoto twice in the last week and its a dish which is getting good reviews from er indoors, I have found that getting the consistency right is the most difficult part. There are two main types of risotto, one in which you want to have grains that melt on the surface (and really stick together) and another where the grains stay well distinct from each other. Milanese risotto (saffron, beef stock, herbs and veal shin marrow) is of the first type, and the consistency is helped by the "mantecatura" as described above, and by using an arborio rice. Asparagus or artichoke risotto instead is of the second type, and is only finished with some butter and using a carnaroli rice. If you do it stirring in a pan, the single most important thing for consistency is to always add very warm stock. This way the temperature of the rice does not have great variations while cooking. consistency of the rice is to "seal it" by stirring it into the initial "soffritto" of herbs, kind of toasting it before the cooking itself. Of course doing it in the pressure cooker as I described in the previous posting takes away all these variables, and when you open the pressure cooker you can judge the consistency and if needed leave it on the cooker a bit longer (alway stirring of course). BRASATO from Piedmont - gorgeous beef dish for when it's cold. A nice, cylindrical excellent piece of beef, about 250 g /head. Must have been adequately "aged" . One bottle of good Italian wine - in the original recipe it is Barolo, but Chianti or Sangiovese is OK. 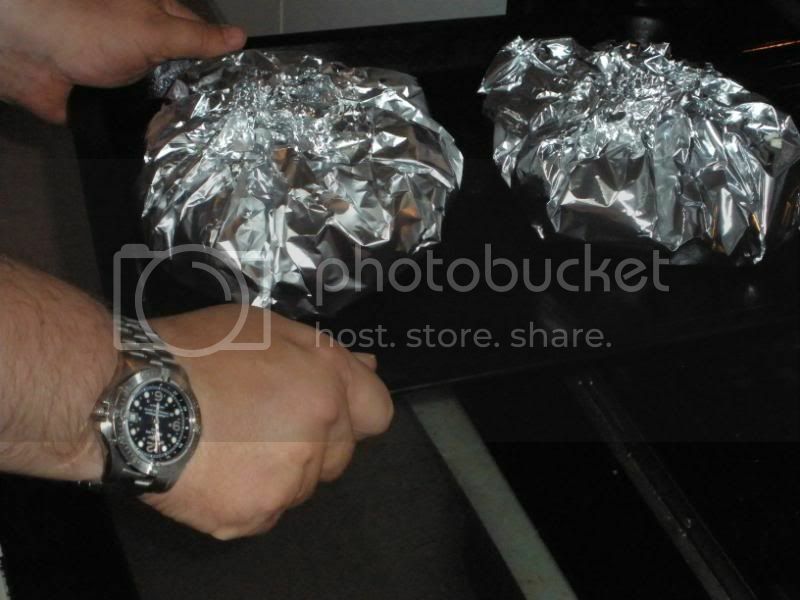 Try to get a container not much dissimilar in shape from the piece of beef, or you can use a food-grade plythene bag. IN the wine add some celery, carrot, garlic, onions, sage, rosemary , bay leaves, basil. Marinade the beef in the wine and minced herbs for 24 hrs, turning a few times. Take the beef out of the wine and herbs. Filter the wine and use the herbs to start a "soffritto" : in some 4 spoonfuls of olive oil, slowly fry the herbs until brown. As soon as the onions start becoming translucent, add the beef. First "seal" the beef on all sides, then let it cook slowly in the wine (turning the beef) and when this is finished, in some good stock. Should cook at least 2 hrs, but longer is better. Leave always at least 200-300 mls of fluid. If you want, you can in the last 2 hrs use an Aga or slow cooker instead of a pan. 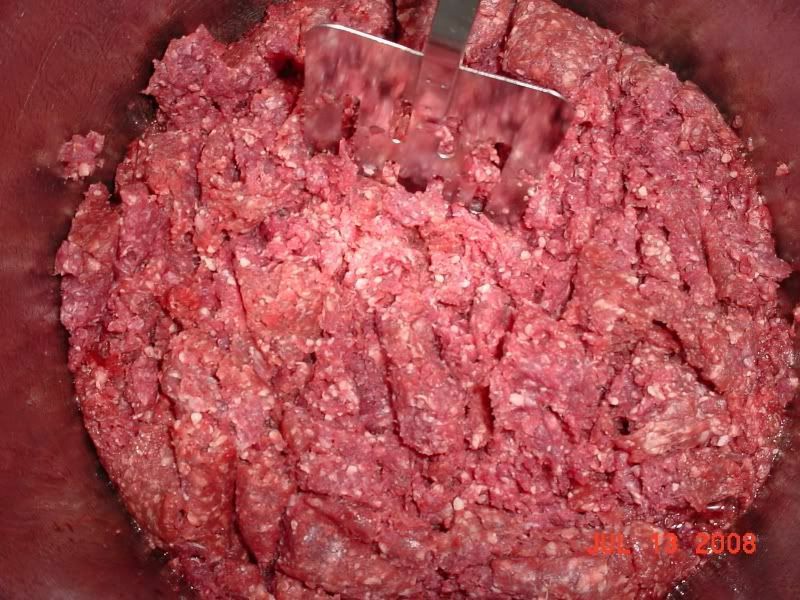 At the end, take the beef out and let it cool. In the while, what remains of the herbs and wine is thoroughly liquidised and it is concentrate in a pan until it is a thick sauce. Add to this some cognac right before pouring it over the slices of beef. Ideal side dish is potato puree (with real potatoes, butter, cream, and traces of nutmeg). Also, spinach sautéed with a bit of lemon and olive oil. Cauliflower fleurets properly cooked or other neutrally flavoured vegetables. This NEEDS good wine to drink with, possibly the same as in the beef. And the best slightly salted bread you can find. Yum! I understand tarka madras is very good. I will be trying this over this coming weekend...... cant wait ! 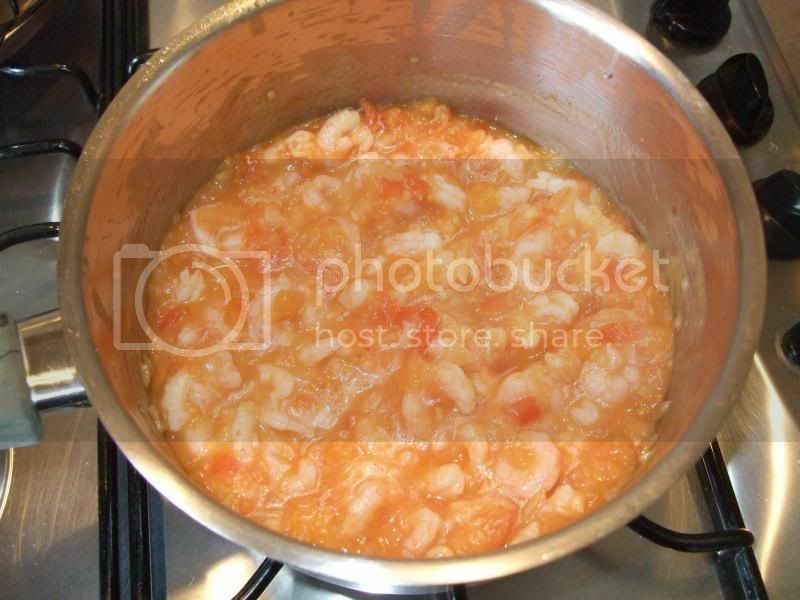 Fry off in the pan the onion and ginger then add risoto rice until it goes clear, add stock and cook as normal after you are happy with the consistency then add shrimps and greens. Sounds very nice indeed , but I would exclude the ginger because it does not exist in Italian cuisine. Rather, I would use finely chopped parsley with the onions and the garlic. Rocket and shrimps is a great pair ! 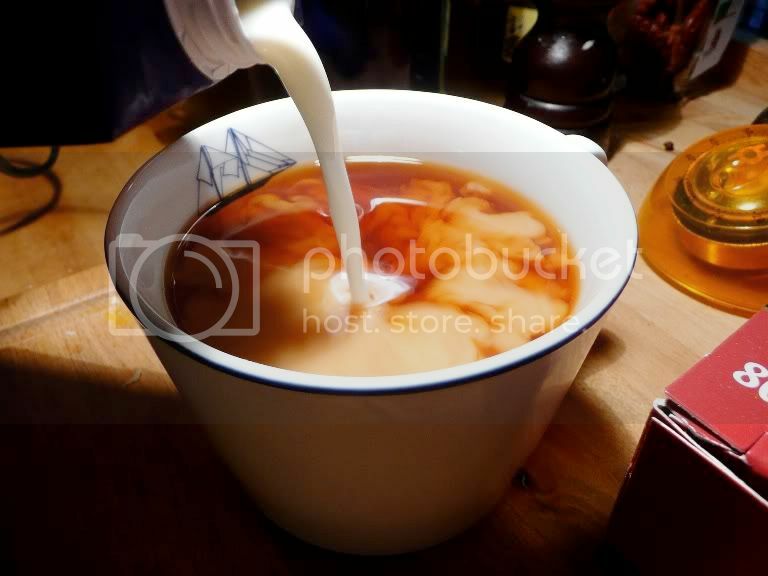 If anyone is interested in making kefir, then check out my recipe. Some love, most hate it!! Sauté the onion in a small amount of chili oil until translucent, drink one bottle of beer. Bring to a simmer the tomato, tomato sauce, cumin, chili powder, parsley, Blair's sauces and ground black pepper, adding the tomato paste to thicken. Drink the 2nd bottle of beer. Now add the chili powder, habenero powder, habeneros, jalapenos & New Mexican chiles. Whilst this is simmering, drink a 3rd bottle of beer & grill the beef. Drain the meat, and season with pepper. Add the beef to the sauce along with the beer. Cook for 30 minutes & drink the 4th bottle of beer. Serve with either rice, potato wedges or skins. These are so easy and taste the same as they do in the curry house, kids love to make them and they make the home curry seem a bit more authentic. Cover with a damp cloth and leave for 30 mins. Heat a cast iron griddle pan/ heavy frying pan on a high heat. Separate the mixture into a dozen or so balls and roll them out with a little flour. Cook on each side for 1 minute or until brown at the edges. 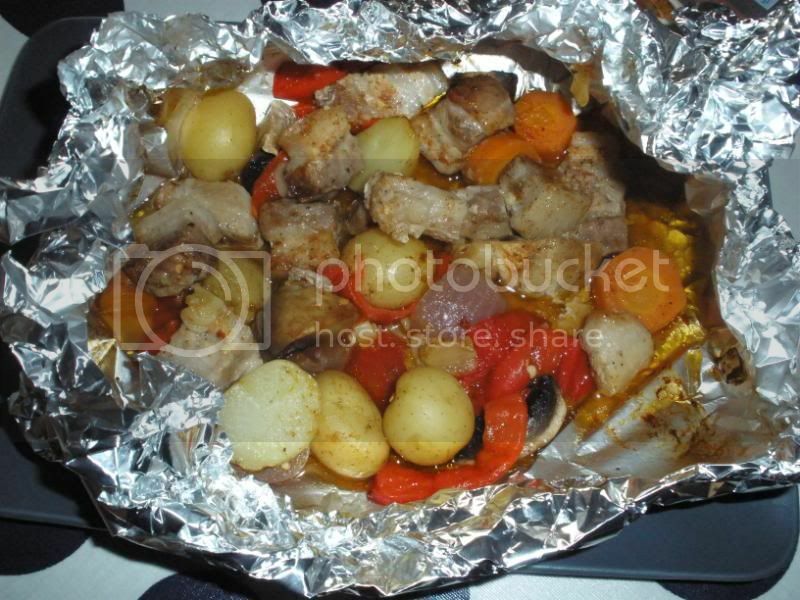 Pile them in the oven on a plate covered in foil until ready to eat. Next time i might experiment and add some coconut to the mix to sweeten it up. Not bothering to read through the entire thread, I wanted to mention that I've recently watched several podcasts from Jamie Oliver. I took one of his recipes and modified it the first time I made it. I cook a pot of linguine, while browning two cloves of garlic in a skillet. I shred a zucchini and a yellow squash, and put them in the skillet with a bag of frozen peas. When the pasta is cooked, I drain it, and add it to the skillet, put 8oz of creme fraiche, 2 tablespoons of butter, some salt and pepper, and chopped mint in the skillet and stir it all up. Then I put it on a serving platter, and top it off with some Parmesan. Wife loved it, parents loved it. No need for the bacon in his recipe. Last night I made his Parmesan chicken breasts with prosciutto. Was great and easy. I made the spaghetti and meatballs last night. Worked well, though I think I'll cook the meatballs in the sauce next time, so the flavors mix more. I went to a painfully hip Swedish restaurant in Madrid recently (man cannot live on tapas alone) and was so impressed with my starter I actually made notes. I will definitely start doing this whenever I go to a semi-decent restaurant because I'm sure they thought I was a food critic- we were suddenly given some complimentary honey-vodka shots immediately after i started scribbling! Some type of cheese that had the consistency of chevre, but was really mild (I liked it & I'm not normally a goats-cheese fan). Not being a fan of the bloke as he annoys the hell out of me, I begrudgingly let the wife try a few of his receipes from his new book. I have to say, been quite impressed (last night it was the Bacon and Mushroom Cream, night before it was a tomato sauce type dish with pasta and the night before it was a mince and onion pie). All recommended (and dare I say it, worth getting the booK).